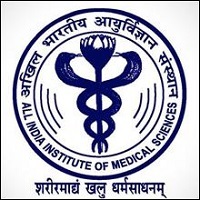 All India Institute of Medical Sciences is a prestigious institute offering medical courses. 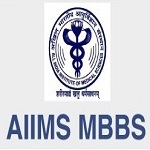 Candidates are required to appear in AIIMS MBBS Entrance Exam to get admission in any of the available six institutes. AIIMS institutes are in New Delhi, Bhopal, Patna, Jodhpur, Rishikesh, Raipur, and Bhubaneshwar. A total number of 672 seats are available in the different AIIMS institutes. Among these 672 seats, 337 are available for the unreserved category, 101 for the SC, 181 for the OBC, 53 for the ST category respectively. The candidates get the colleges according to the merit and seat availability. The registration for AIIMS MBBS 2019 has been started from 30th November 2018. AIIMS MBBS 2019 Registration will be started from 30th November 2018. Click Here to register for AIIMS MBBS Entrance Exam. AIIMS has introduced PAAR (Prospective Applicants Advanced Registration) facility for online registration. The registration process will be done in two parts i.e. Basic registration: Candidates can fill their basic details & upload images. Final registration: Candidates can complete their application & fee payment. The applicants must have attained the age of 17 years on or before 31st December at the time of admission. The applicants must have scored 60% aggregate marks in the subjects taken together (50% for reserved categories). Register online at http://mbbs.aiimsexams.org/ with correct academic and personal details. The password and user id generated for the registered email address is sent to the mail and mobile number. Registered email address and mobile number must be active. Use this login credentials to log in and change the password. Make an online payment, choosing a city, updating qualification details and uploading images of photograph, thumb impression, and signature. The online payment can be made easily via different SBI online payment modes. The images cannot change once upload so when uploading the images, one must choose the right image with caution. The seat reservation will be followed by 7.5% ST, 15% SC and 27% OBC, for Indian Nationals. 3% reservation for Orthopaedic Physically Handicapped on horizontal basis. The application fee can be paid either through online (credit/debit card/net banking) or offline (through SBI e-challan). The examination will be held in online mode and question paper will be available in Hindi & English both. The duration of the examination will be 3 hours & 30 minutes. There will be total 200 questions of MCQ type mostly from 11th & 12th standard syllabus. The applicants will get 1 mark for each correct answer and 1/3rd marks will be deducted as the penalty of each wrong answer. Admit card will be released from 15th May 2019. Eligible applicants can download the admit card through online only. Applicants are suggested to keep the printout of the admit card for further need. Without admit card applicants will not be permitted to enter the examination hall. Applicants can check the results via online mode through the website. The result will be available to students on 12th June 2019. Take the printout of the result and keep it safe till the admission procedure. Merit list will be prepared on the basis of marks scored in the entrance exam. Applicants will be invited for counselling on the basis of rank secured in the merit list. For all the categories, the merit list will be prepared separately. At the given date & time mentioned on the call letter, the applicants are required to report at the venue with original documents for the counselling process. The prospectus will ONLY be available on the AIIMS website. The city/ centre of examination once chosen and allotted will not be changed and no requests in this regard will be entertained. After registration closing date, no change/editing in registration form is allowed as mentioned in the prospectus.